Independence Day! Today is a reminder of our blessings and a celebration of the freedom granted those fortunate enough to live in this great Country. Freedom, we lose if we do not fight to maintain it. Some of the best things taken for granted are free: the air we breath, the water we drink, love of family and friends and grace to have hope of permanent life after death! 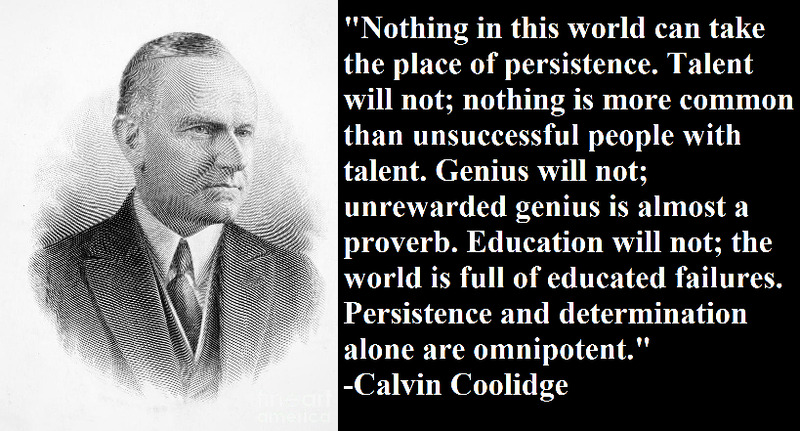 Calvin Coolidge was born on July 4, 1872 and served as President of the United States from the year my father was born (1923) and served until the year my mother was born (1929). The greatest stock market crash in history came just a few months after Coolidge left office, just 4 days after mother's birth. Hard times during the "Great Depression" as we approach a decisive era in which we repeat the horror or enjoy a new day in our trek toward its 100th anniversary. If we are proactive we might just turn the tide of history in our favor. We're off to a good start as statistics show that America is showing signs of a new enthusiasm. 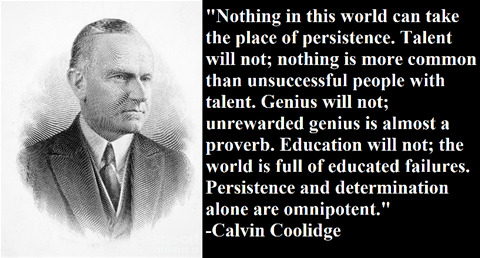 Persistence in the right direction is the message President Coolidge has for us on this special day and chapter in history. Most people haven't the slightest idea of the cost of freedom or the principles enabling its maintenance. If it is lost we will never recover. So, resolve to become an expert on freedom through knowledge and action. The Greatest Book ever written places much emphasis on the liberty for which the co-Creator of the universe came to give. Freedom in this life and in the world beyond! What could be greater?